Want to record your shows? Our #1 best-selling portable antenna. Save $20 when you bundle. The NEW DISH Tailgater is a fully automatic, portable HD satellite antenna that sits on the ground or mounts to the roof of your RV. Based off the #1 selling KING Tailgater, the DISH® Tailgater is a economically priced antenna for those who don't need to connect more than 1 TV. When used in combination with a DISH mobile receiver such as the DISH Wally, you can enjoy all of your favorite channels anytime, anywhere with DISH Pay-As-You-Go. With Pay-As-You-Go TV, there is no contract required and no activation fees. Best of all, you only pay for the months that you want to use it. Setup for the DISH Tailgater Portable HDTV System is easy. After connecting your devices as instructed in the Receiver Installation Instructions, follow the on-screen instructions. The Tailgater will automatically find the satellite locations for your DISH Network programming. 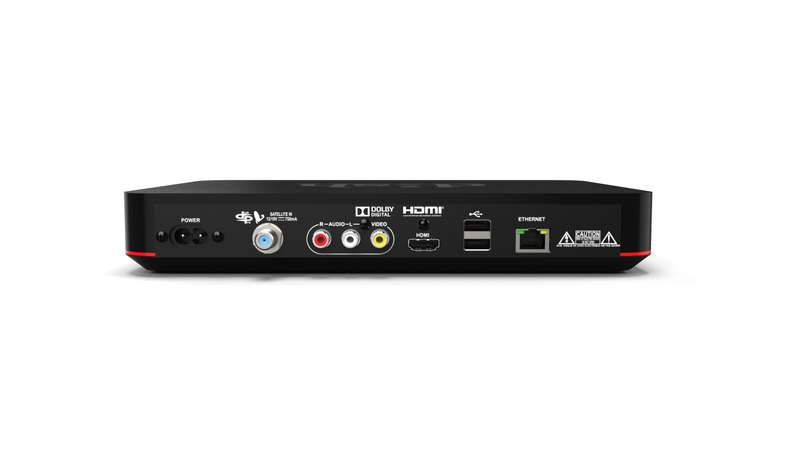 When you're done watching, simply power down the Tailgater and receiver, disconnect the cables, and take your system with you. It's portable and lightweight, so it's easy to carry from one outdoor activity to the next. 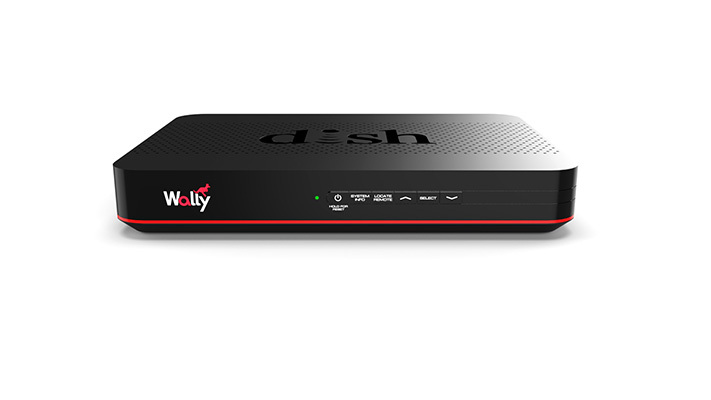 The DISH Wally® HD Satellite Receiver is the smallest and fastest mobile receiver ever made, with a suite of new features for an enhanced user experience. The Wally offers full functionality with a smaller footprint and expanded capabilities including the use of built in apps like Netflix (requires Wi-Fi Adapter and wireless connection), as well as other great features. This new smaller design allows for fitting into tight spaces. Included is an RF remote that allows you to freely operate the receiver up to 200 feet away, even through walls and obstructions. Never lose your remote again with the new Remote Finder feature, a chime guides you to the remote's hidden location. Wi-Fi USB Adapter: Connect to a wireless network to enjoy streaming videos and other web apps including Netflix and Game Finder. Bluetooth USB Adapter: Enjoy your favorite TV shows with wireless KICKER Headphones by connecting wirelessly using the adapter. Coupled with DISH Pay-As-You-Go program and a Portable HD Satellite Antenna, this is a mobile customer's ultimate package for satellite TV on the open road. DISH's Pay-As-You-Go program is simple & effective: No Activation Fees. No Disconnect Fees. No Restart Fees. Current DISH subscribers can add outdoor TV equipment for just $7 per month for each receiver. NOTE: If you only have COAX going into your TV, you can purchase an RF Modulator. Note: The Tailgater only works in the 48 contiguous United States. International channels are now only broadcasting on satellite 118w and are no longer on the eastern arc. As a result, there are no mobile antennas capable of picking up these channels. 2 YEAR AND 3 YEAR EXTENDED WARRANTY AVAILABLE AS AN ADD-ON. The Dish Tailgater system is great! It was easy to setup & get authorized, which was a pleasant surprise. Works very good in our motorhome & is easily transportable; we highly recommend. We received the Dish Tailgater and within an hour were watching our favorite TV shows and movies. Great product for the camper or rv. Set up was not as easy as they say. Got it out of box the day i got it. Yes it is for my RV but wanted to get it set up working before i left the house for the first time. Never got the remote to work, after staying on the phone with DISH for 2 HOURS and being sent around the world to different people, had to use the remote that is for tv in my basement. Person said i was to close to my HOPPER and it would not work. (they should tell you this in the instructions) (min distance from HOPPER) But as for the dish, it worked great and had a great picture once the lady got it added to my account. Needed some TV in our rv so we decided to add dish since we had it in our home. Easy to install and ready to go. We did mount it on a tripod to keep it off the ground. They put the wrong smart card number on the receiver so activation was an absolute nightmare (4 hours over 3 days on the phone with customer service) but once it was activated it found the signal and worked great! Had to call twice to find out why it wasn't downloading. Had to disconnect it and take it in the house, hook it up to the wires in there, download the software then take it back to the travel trailer. Hopefully it works better when we travel, sits low to the ground so it has a hard time getting signal when around any trees. Friendly service, great product, easy to assemble and use. Light weight and easy to move from one location to another. Would recommend to those who camp alot. Good price too! worked good but tech supports was sad had to talk to 5 reps over hour on phone! Bought for our RV to use where there wasn't any over the air reception, worked great! We currently are residing in the desert outside Phoenix. Every time we turn the unit on, we have to go through the scan process because it can't find all the signals. By the time it comes on, it's time to go to bed. It was very hard to set up also. Had to go connect to our service to get the unit up and running. Suggest you purchase before going in the road. Warranty fulfillment is covered by King Controls. Contact them at 1-952-922-6889. Do not return to DISHFORMYRV. DISH Network receivers carry a 1 year (365 day) warranty beginning from the date of initial activation. Warranty only covers manufacture defects. Defects arising from misuse by customer will not be covered under warranty. Prior to requesting warranty replacement, you must contact DISH Network to ensure that the receiver is removed from your account and you are no longer being charged for it. Warranty is handled by DISHFORMYRV. DISH Network receiver under warranty will be exchanged with a remanufactured receiver of the same model. Replacement will be sent only when the defective product has been received and tested. Advanced Exchanges are available upon request. In this process a new receiver is ordered and charged to thou through DISHFORMYRV.COM . A refund will be processed back to you after the defective receiver has been tested. Warranty fulfillment requests must be requested through DISHFORMYRV. Once a return has been requested, we will process your request and email you the return authorization number and return instructions. Customer must obtain a return authorization number. No returns will be accepted without a return authorization. All products must be returned in the original packaging with all parts and documentation. A return authorization number must be written on the outside of the shipping carton. DO NOT write the return authorization number on the product itself. Products must be shipped back via a traceable, weighted ship method of your choosing. DISHFORMYRV will not be responsible for product that is lost via shipping or damaged in transit.